Combining tradition, provenance and heritage, this ‘barley to bottle’ farm distillery near Perth marks the Morrison family’s return to distilling. 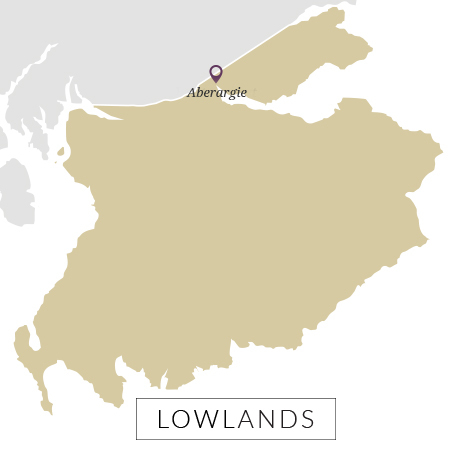 Technically a Lowland distillery (it misses the Highland line by a few miles), Aberargie eschews regional style with its rich and fruity whisky. Its sole use of Golden Promise barley – grown entirely on its own farms – gives an inherent waxiness to the new make spirit, while the distillery is set up to nurture a fruity quality, with a smoky characteristic from the occasional peated run. 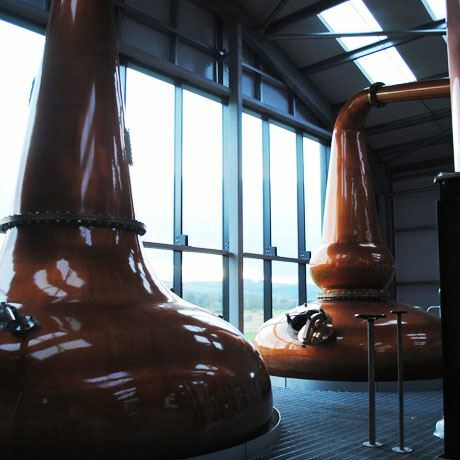 Maturation will take place in a mixture of first-fill ex-Sherry butts, first-fill ex-Bourbon barrels from Woodford Reserve, and second-fill Sherry/Bourbon casks, further enhancing the rich Aberargie whisky style. Situated ‘a football kick’ from Morrison & Mackay’s new blending and bottling facility, Aberargie is designed as a ‘barley to bottle’ operation – every process bar the malting (courtesy of Simpsons) will take place on-site. Every drop of spirit produced at the distillery is destined for Aberargie single malt, although some may be commandeered as fillings for Morrison & Mackay’s Bruadar whisky liqueur. Aberargie marks a return to distilling for the Morrison family. Whisky broker Stanley P. Morrison had owned Bowmore during the 1960s, his distilling, blending and brokering business forming the basis for Morrison Bowmore, now owned by Beam Suntory. In 2005 the Morrison family – led by Stanley’s son Brian, and grandson Jamie – secured a majority stake in the Scottish Liqueur Centre in Bankfoot, Perth, where it nurtured the Bruadar and Columba Cream liqueur brands. The group – later renamed Morrison & Mackay – moved into blending and bottling Scotch whiskies under the Carn Mor range, and re-established the Old Perth brand in 2014. At the time of Old Perth’s creation, the business had sought to move its operation to larger premises. The Morrison family owned a 300-acre farm in the nearby village of Aberargie, where they had been growing barley for maltsters for a number of years. In early 2014 Morrison & Mackay’s plans to build a blending and bottling hall on the farm were approved. 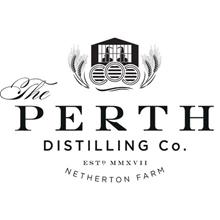 Along with the designs were plans for an adjacent, yet separate distillery to be owned and operated solely by the Morrison family under The Perth Distilling Company. Due to the Morrisons’ majority stake in Morrison & Mackay, they were able to proceed with both builds simultaneously. 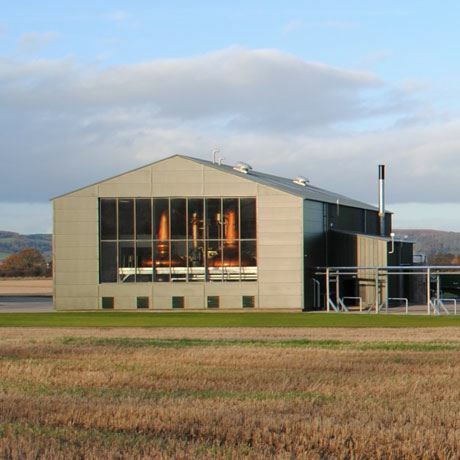 Ground broke on the project in June 2016, and following distilling trials in October 2017, Aberargie distillery’s first cask was filled on 1 November.